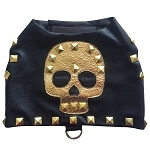 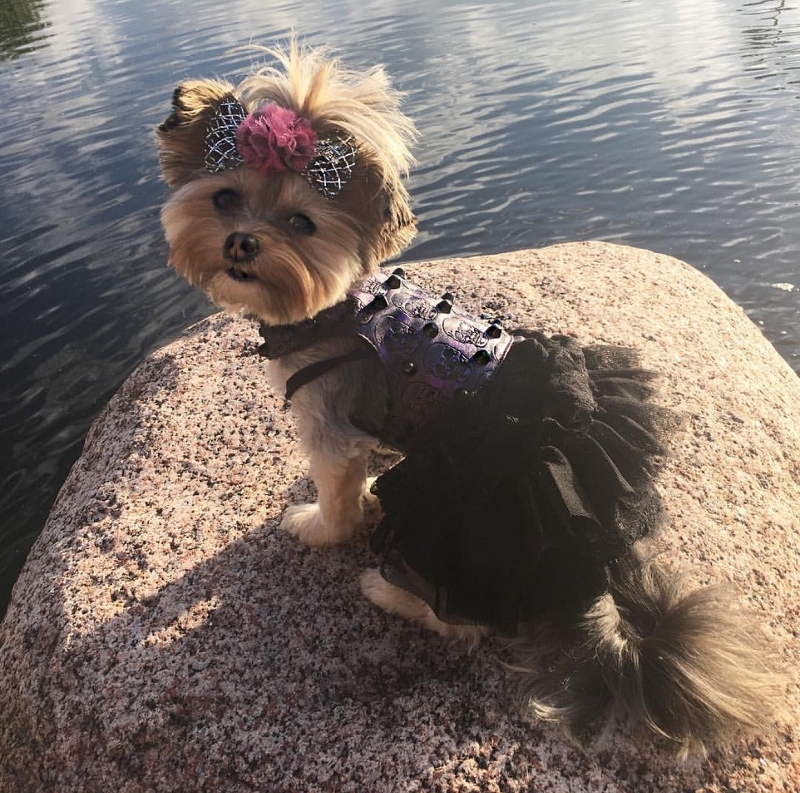 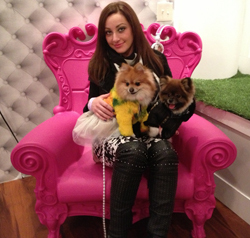 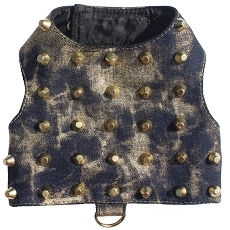 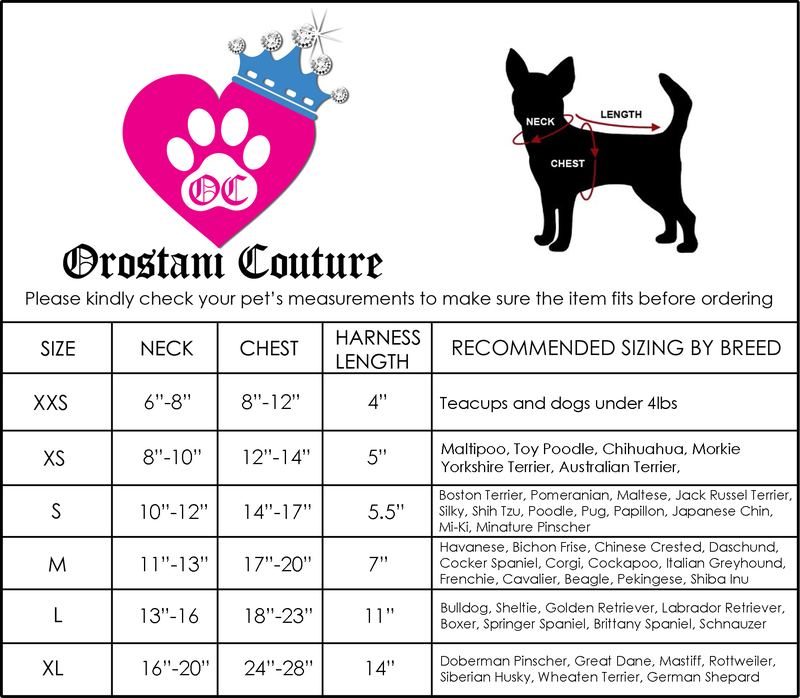 This gorgeous dog vest is a perfect everyday street style choice for the rockstar pup! 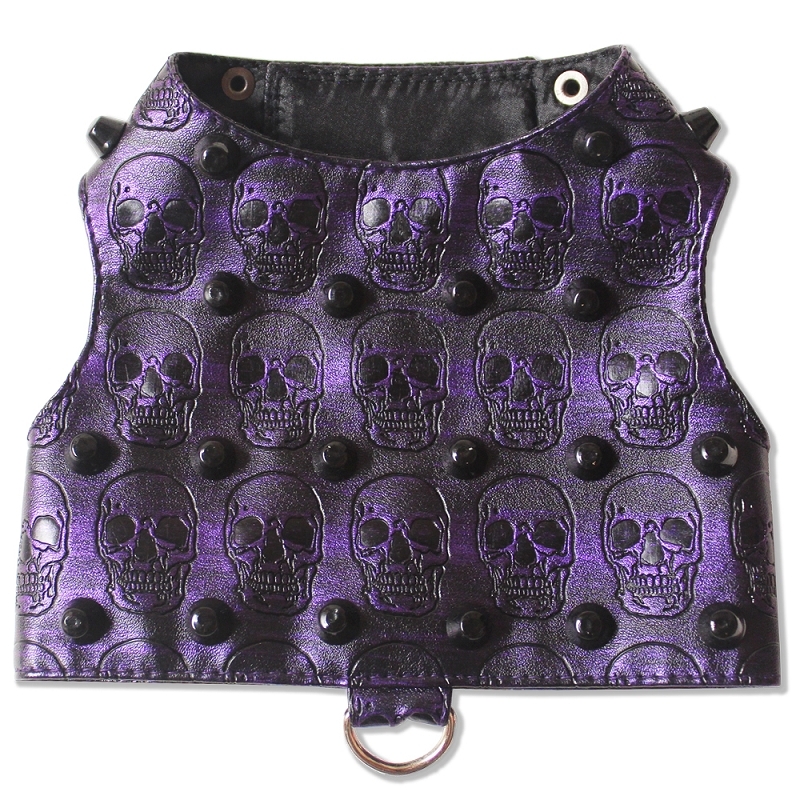 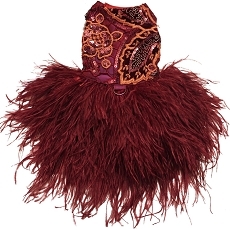 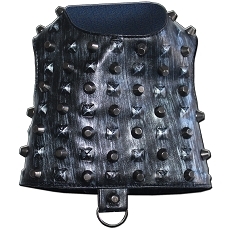 It is made with distressed purple two tone faux leather and embossed with skulls. 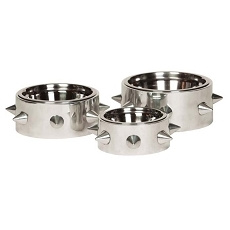 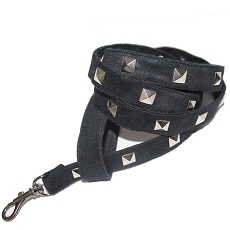 The harness is adorned with black cone studs for the ultimate glam look. 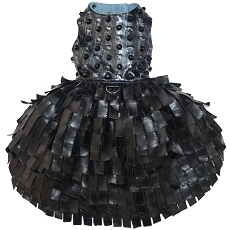 Adjustable velcro closure at neck and belly and D-ring at waist.